Office suites in well known industrialized area of Fort Lauderdale. Beautifully furnished offices available with a variety of services. Conveniently located within seconds of restaurants, hotels and shops, residential areas also nearby. The regional transport links present throughout the locality are also excellent and provide all prospective tenants and commuting professionals with an array of frequent travel options in service. This modern executive center is ideal for a variety of business types and sizes, and offers a great range of offices, along with a host of business support services. With a central location, this site is close to a full complement of eateries, retail, hotels and banks. This landmark Fort Lauderdale tower is in the heart of the financial district next door to the Federal Courthouse. Ideal for legal professionals, the luxurious and exquisitely equipped business center offers fully furnished office space at exceptional value and coming complete with a wide range of excellent facilities and amenities including executive furniture, technical equipment spacious meeting rooms and comfortable communal areas. Beautiful top of the line furnished suites available in Downtown Fort Lauderdale. High tech contemporary building with endless amenities to choose from. Ocean view suites available, a variety of conference rooms with easy network access and a full staff. Easy access to the beach, major highways, and Fort Lauderdale Airport. 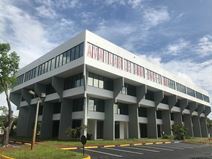 Located in Broward County"s largest shopping destination this technologically powered business center provides modern and flexible office space solution packages with a prominent address just minutes from U.S. Highway 1 and I-95. As well as being close to the beach (ideal for unwinding) it is only 25 minutes away from Fort Lauderdale-Hollywood International Airport, perfect for the travelling professional. This world class and exceptionally provided corporate facility and business center is set within a premium office building with beautiful views of the Atlantic ocean and the idyllic coastline for miles around. The incredible and high quality amenities provided for corporate tenants include secure and covered parking, extra large conference room and easy access to fine dining, beach and major highways. This modern serviced office center is well equipped to meet your business needs. Set in a Class A building with an eye-catching façade, this center provides a range of office space solutions in a highly accessible location overlooking I95. This 15th floor center is situated in the heart of Fort Lauderdale, right across from the US Federal Courthouse. The serviced office space is close to all that Las Olas offers. Top of the line business centre just minutes’ away from Downtown Fort Lauderdale. Many services to choose from. Beautiful suites with easy internet access. Conveniently located near I-95. Fully furnished offices complete with executive furniture setup, compliment the already impressive space. 24/7 security and concierge provides a welcoming atmosphere into its impressive lobby with high end marble & cherry wood accents, making it an ideal location for any business. Weekly community networking events provide plenty of activities to assist with creating a healthy working environment. This premium standard and exceptionally professional business center installation was built to impress, offering sophisticated office premises on a highly flexible basis, including well equipped meeting rooms and virtual office services. It enjoys a prestigious address and on-site conveniences ranging from a gym to restaurants. It is also strategically located close to the airport and the Interstate. This exquisitely furnished and state of the art business center location is a technologically sophisticated and highly prestigious corporate installation offering a diverse range of specialist workspace solution packages and coworking capabilities for all tenants and professional clients in search of flexible and well equipped office space provision. The area is a vibrant commercially focused district with fantastic amenities and transport links close at hand.